The project involved the duplication of 4.5km of the Great Western Highway between Lawson and Wentworth Falls. 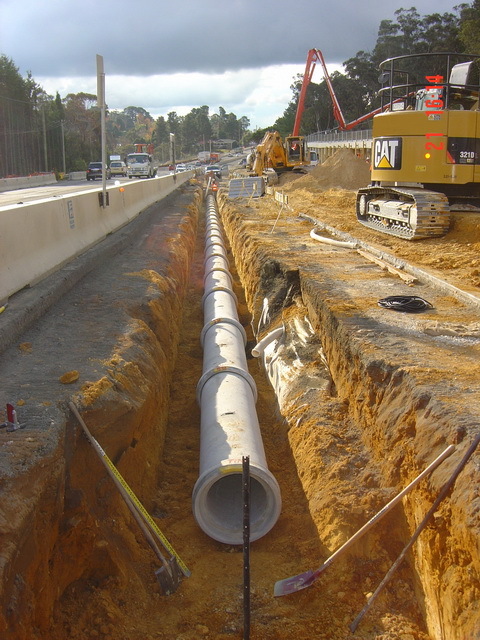 Civil & Tunnel were engaged by Zinfra to supply plant, labour and supervision to construct 4km of highway drainage and install precast pits to RMS standards between Woodford and Hazelbrook. 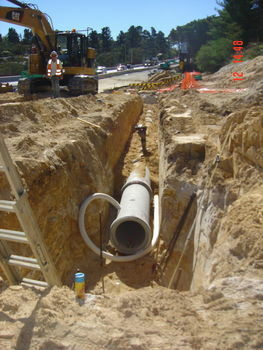 The pipeline was constructed in hard sandstone adjacent to the Great Western Highway, which is the main arterial road through the Blue Mountains. The pipeline ranges in size from 375mm-1200mm RCP pipes, up to depths of 3.5m.